Who is it for? 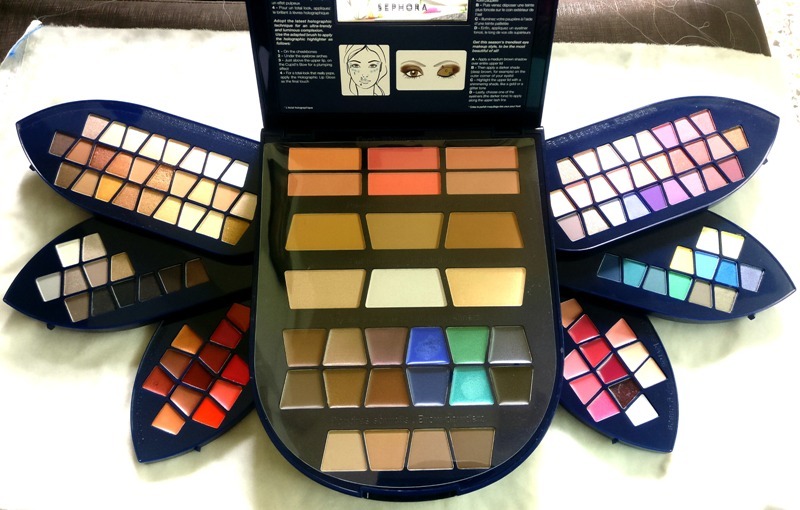 Sephora Once Upon A Night Palette is For those who are just starting to play around with makeup and looking for an all-in-one makeup kit. So the entire kit comes in a box that has all the details like contents mentioned in different languages. The kit is in a midnight blue shade with the branding on it and stars all around it. It looks really nice. When you open it, the inside of the lid has a mirror on it. As soon as you open it, you will see the different blush, highlight, contour and eyebrow shades on it. Below that, either side has three compartments that open out and have eye shadow, eyeliner, and lipstick shades. The texture of all these products are smooth and creamy, very butter-like and glide very easily. This is a little disappointing. Since its Sephora, I expected it to be a little longer lasting, but no. This barely lasts for a while. A slight rub at it and it comes off completely. 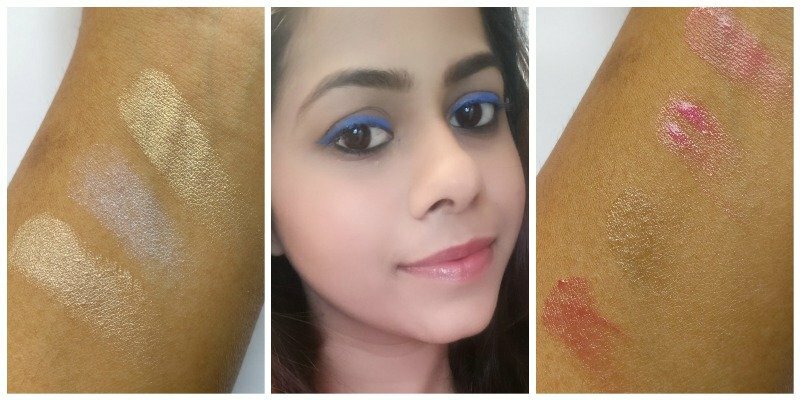 When you swatch the eye shades, it’s quite strong. 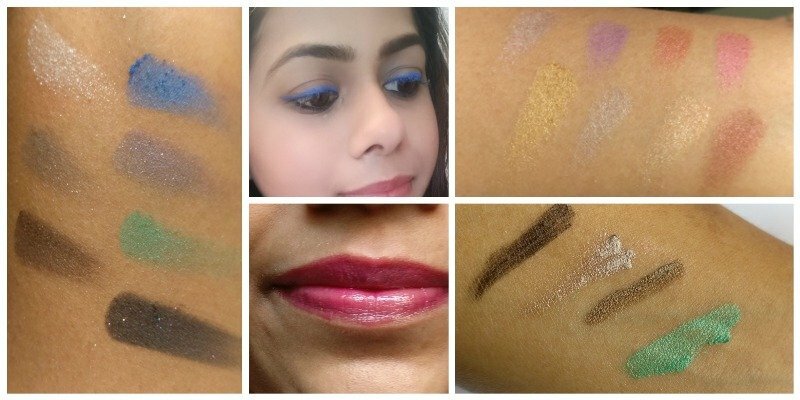 But when applied, it barely shows through…you need to really layer up for it to show through. So first, I must mention…there are 78 eyeshadows, 24 lip glosses, 6 blushes, 14 cream eyeliners, and 4 brow powders. Interesting, yeah? The shades of all of these are beautiful. But sadly, they don’t show up well. Even the glosses, when you look at some of the shades, they look quite pigmented but most of them are quite clear, except a few. I’ll be honest here, I’ve only tried the eyeshadows, lip glosses, and eyeliners and I wasn’t too impressed. They don’t last long enough, the eyeliners are creamy and don’t go into a matte, so it smudges. Now, for the quantity and variety that you get, I’d say it’s worth it. But since it’s not really effective, it’s pricey. Would I recommend & repurchase? Sephora Base Lissante Smoothing Primer – Is it Useful? Sephora Vanilla Moisturizing Body Lotion- Worth Buying? Such a pretty set but sad its got less pigmented colours. Thanks for the review.